When it arrived, it came in a hardbox with a free screen protector, cleaning cloth and plastic dust covers for my headphone and charger port which was not initially specified in the product page but free stuff is always a nice surprise for me. 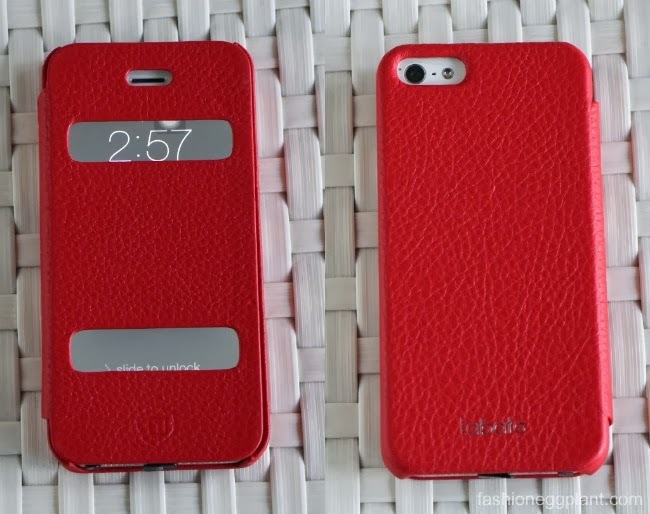 Tell you the truth, I have never really been a fan of full leather cases before. I thought they looked "old-ish" and uncool but this one by Labato is quickly changing my mind. It's made of real leather, smells delicious and the bright red hue makes it look really young and chic...and speaking of leather, genuine leather isn't just a luxury, it also speaks longevity and durability to me. Unlike faux, real leather doesn't crack or tear easily making it cheaper in the long run. And I love that my front cover comes with convenient finger access so I don't always need to flip it open just to answer a phone call. Best yet, my phone has never felt more protected. If you're the clumsy type (like me :P) I highly suggest getting one of these cases. Gives you so much peace of mind.